In a room saturated with warm winter sunlight, a group of artisans is deftly constructing premium cycling apparel, fit for the most demanding of riders. A quiet energy fills the room as their hands glide over their worktops with the efficiency that comes from experience. The work is intricate but they make it look easy. We are in the HQ of ASSOS of Switzerland watching fabric technicians produce cycling jerseys, something they do day in, day out. Only today is not a normal day – today, the jerseys they are producing in green, white and purple have a backstory that goes far beyond Switzerland, or cycling. It’s story that spans continents and forces society to look at itself in the mirror, this jersey will go on to create history in the 2019 pro season. Untroubled by our presence, the group continue working intently to a backing track of chirpy Italian radio pitching against the noise of their machines. 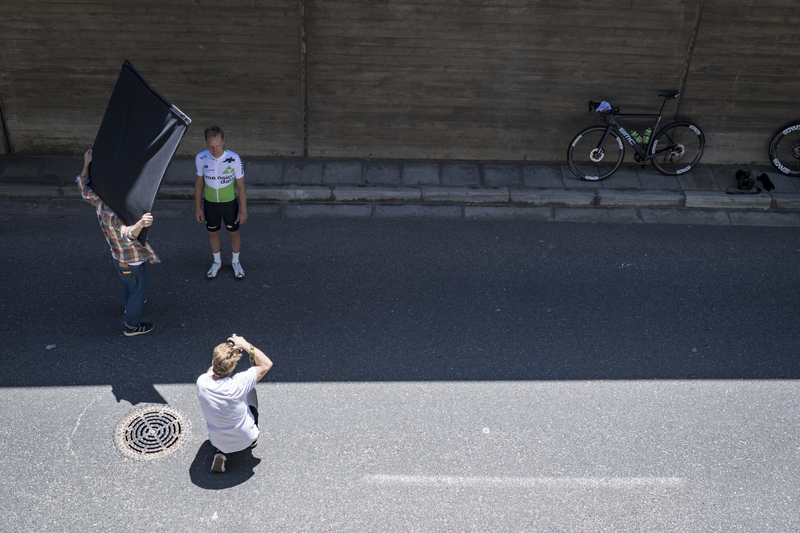 The situation here in Southern Switzerland is a far cry from the events of two months earlier in South Africa, where each member of Team Dimension Data went through a painstaking fitting process. Under the forthright guidance of the brand’s Chief Créateur, Roche Maier, the riders were introduced to the pieces of apparel that will be their protection from the elements over the coming twelve months. 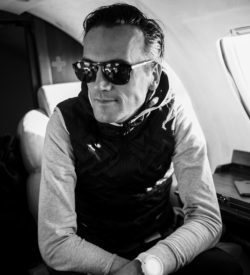 The riders’ comments of how they’d often purchased ASSOS to train in the winter, choosing to spend their own money over using the products of previous sponsors was confirmation for the brand that they’d been doing things right. Clothing as protection, as equipment, as something that goes beyond just covering our bodies, is a topic that has been circulating at ASSOS since 1976. As humans we evolved without fur – and though the full reason for this is somewhat down to the random chaos that is natural selection, many argue it is so that we can sweat. This ability to cool our body means that we have become the ultimate persistence hunter, using our endurance to capture prey that is faster than us by making them go further than they are naturally capable of. It’s this innate capability and obsession for endurance that’s central to elite road racing. But there are other factors at play: cycling is a sport that pays no heed to the elements. It’s the crosswinds, rain and heat that add spice to the drama, giving us, the fans, something else to talk about with our friends as we dissect the key moments of the races that we avidly follow. It is also these elements that make apparel so important for any cyclist. This is why, when ASSOS of Switzerland embarked upon their journey as technical apparel supplier to Team Dimension Data, the riders were happy. Why? Because they like the sometimes confusing names of the products? The bold designs? The Swiss heritage? No – not quite. It was because they knew that this equipment would give them a competitive edge over the coming season. The act of marketing cycling apparel has taken on a bolshie, combative stance in recent years. We talk about ‘cheating the wind’ and ‘beating winter’. When we go out on our bikes, there’s something gladiatorial about combating the elements or time, and that’s become the norm. For the 27 riders of Team Dimension Data, they’ve got a full wardrobe of garments that will work with the weather and quietly surpass the air, using a formula that is uniquely ASSOS. Products that take hours to make, yet are years in development. Some things that are for them only, others that are for everyone because ASSOS products have always been the go-to for the discerning cyclist. But whatever the product, fit, performance and comfort are the three musts, because this is more than just sartorialism, this is all about function. Part 2 of our insider look at the partnership between ASSOS of Switzerland and Team Dimension Data.